If you’re looking to raise cash for a non-profit – your children’s football club or the local arts centre – there’s never been a better time, thanks to social media. To realise your dream, you will need a great team behind you – don’t try to do it all yourself. You will need a variety of skills, and just as in an office environment, try to match skills to your needs, where possible. You will need someone who is good at dealing with all the inevitable admin, and somebody else who is good with words to put together news releases for the media and provide copy for your website. For maximum appeal, it needs to be punchy and grab attention. You will also need someone who is good at networking – ideally someone who has the right contacts for your appeal. And you also need a social media expert – teenagers and young adults know as much as any industry expert on that front. Beyond your core team, try to involve other people you know. Even if their contribution is small, it all helps to spread the word. A lot of people think National Lottery funding is only for big projects, but a substantial amount of what is now called the Big Lottery Fund goes to community groups. The critical thing here is the application process. First you must prove there is a need for your project, and provide evidence to back that up. Then you must state your aims and projected outcomes, and why they are important – in other words, what benefits they will bring to the community, how many people will benefit, and in what way. You will also need to show you have a strong management team, a detailed business plan showing how the money would be spent, and a clear internal audit system to track your expenditure. Since lottery grants are based on match funding, you will also need to demonstrate that you have your own well-planned fundraising scheme in place. If all this sounds a bit daunting, don’t give up – lottery staff will be happy to discuss your bid and guide you through the application process. For more information visit https://www.biglotteryfund.org.uk/funding/funding-guidance/applying-for-funding. Sometimes people who’ve made a lot of money want to use it to help good causes. However, it’s not always easy to get in front of them to plead your case. Networking is the way forward here – attend breakfast clubs and business lunches, meet and greet the great and the good, and make yourself – and your cause – known. However, beware being too pushy – there is a line between friendly persuasion and the ‘hard sell’. Don’t cross it, or you will put people off. There is nothing quite like a charity fundraiser to fire up enthusiasm for a good cause and raise your public profile. The media – particularly local newspapers and local radio – love a good news story to latch on to, and if you build a good relationship with a reporter, they will keep coming back for more. They say a picture is worth a thousand words, and when it comes to publicity, nothing beats a stunning photo of a charity stunt on the front page of your local paper. Plan the event carefully, and make it as gruelling or wacky as possible – remember, you’re up against other charities doing the same thing, so you need to make it stand out. And don’t forget the pulling power of social media – start a Facebook page if you don’t already have one, and make sure you keep it regularly updated with the latest posts on preparations for the big day. Think Snapchat, Instagram, Twitter. When it comes to sponsorship, reach out to as many people as possible through work colleagues, and friends and acquaintances at sports and social clubs. Don’t forget to work with local schools, too, although always go through the headteacher and ask if they would be willing to get involved – don’t just send in your children asking for money. This is a tried and tested way of raising funds, and is worth a mention in its own right. Approach local businesses to donate products and services, to be bid on by people attending the auction. Contact your local auction house and ask if they will provide an auctioneer for the night in exchange for some free publicity – don’t try to do it yourself, as you need to generate the right atmosphere. Then get a local pub or hotel to help sponsor the event and supply a few free drinks and snacks. As above, make sure you involve the media every step of the way. Crowdfunding is the flavour of the month when it comes to raising cash, whether for business or nonprofits. 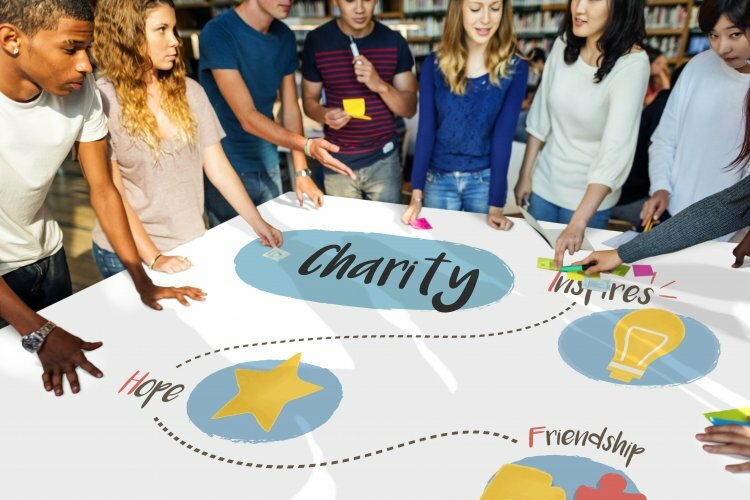 There are a number of crowdfunding websites such as justgiving.com and crowdfunder.co.uk where you can post your good cause, and people can pledge donations through a website they know they can trust. You don’t have to be a registered charity to take part. The average pledge on Crowdfunder is £50, so to raise £10,000 you will need to find 200 backers. A good way of gauging whether this would work for you is to ask 10 people you know if they would make a pledge to your cause – if the answer is ‘yes’, then it’s a good indication your fundraising project could take off. However, it’s important to make your appeal look as professional as possible, so get the text written or edited by a good wordsmith, and run the concept past a few friendly professionals such as an accountant, a solicitor, and a business manager to make sure there are no obvious flaws in the plan from a financial, legal or organisational point of view.